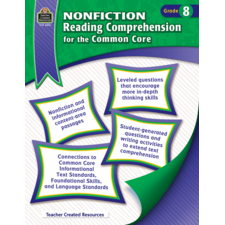 Focusing on the "analysis" component in the Common Core scheme of reading comprehension, students are presented with 18 nonfiction passages that cover science, history, biographies, and informational text. 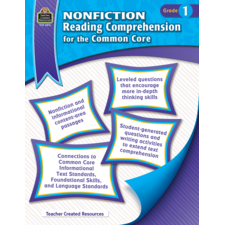 After reading a passage, students are asked different "levels" of multiple choice questions, helping students recognize that different types of questions require different levels of effort and thinking. They are also asked to write questions of their own and to answer essay questions.